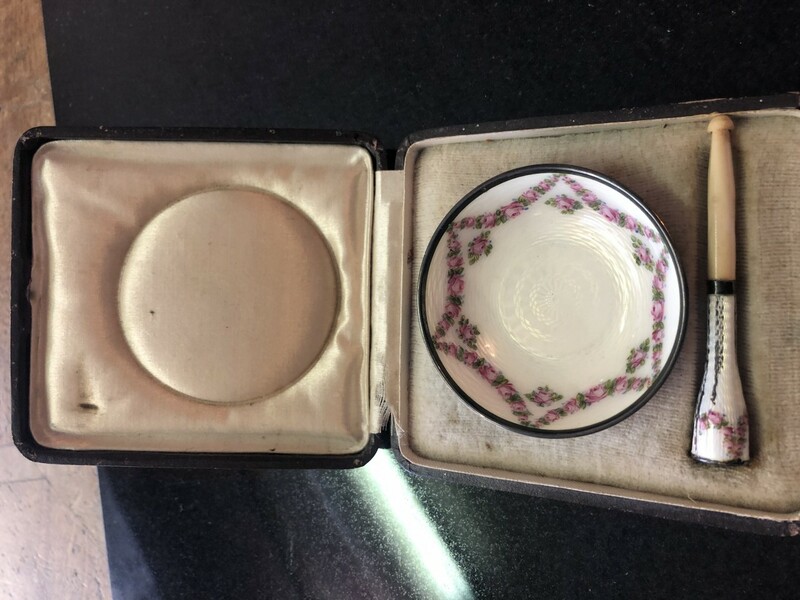 Circa 1860 A lovely vanity smoking accessory bowl, finished in enamel and marked Sterling 935, in its original box with a beautiful cheroot holder. A little ware to the holder, but otherwise a beautiful example. Click the button below to add the Cheroot Holder and smoking bowl Circa 1860 to your wish list.